It's a fantasic, reproduction in SEAL RIFLEMAN style. Base on the US NANY MK I LIFE PRESERVER, 8 pouches attached, 3 slanted pouches on left chest,one on right side and 4 on the back. That's the way to avoid someone to collect or re-sell it as real Vietnam War item. 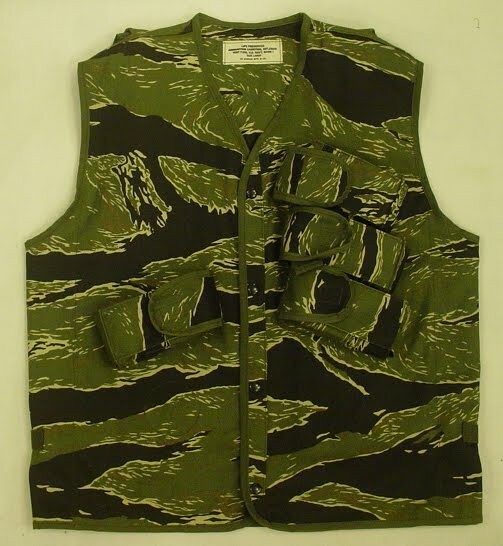 This Tiger Stripe vest been sold from eBay auction to TX, USA on OCT. 2003. 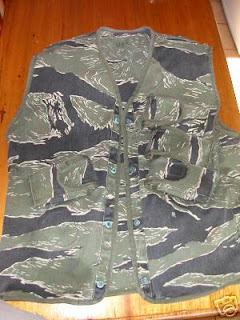 A GI whom served in Germany, he said he found this vest in New York, USA and spent a lot of money for this vest. 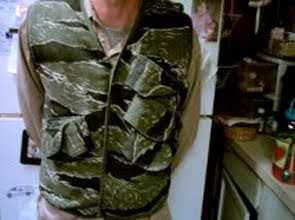 A French guy said he collect this vest alreday for 15 years! "NOT A FAKE, REPRODUCTION OR COPY, NOT MADE IN JAPAN, TAIWAN, HONG KONG!!!!!!!!!!" We NEVER sell the reproductions as the real Vietnam War Items!